We have 5 dump trucks and 3 different sized loader trucks to fit every need. Our delivery trucks can accommodate any size load from 1 cubic yard up to 22 cubic yards, and are fitted with dividers capable of carrying two different products at the same time. 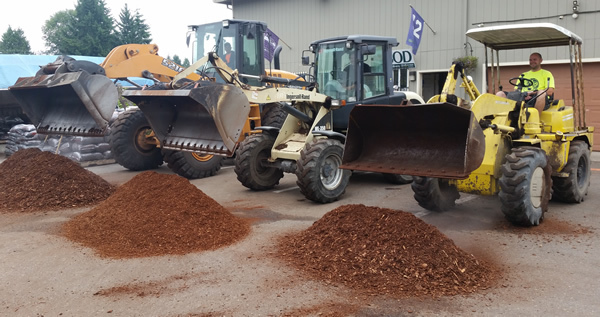 At our materials yard, we provide loader trucks with scoop sizes of ½ cubic yard, 1 cubic yard, and 2 ¼ cubic yards. Note that our delivery trucks are built to haul heavy loads. Make sure your drop site can handle the weight of both truck and its content.